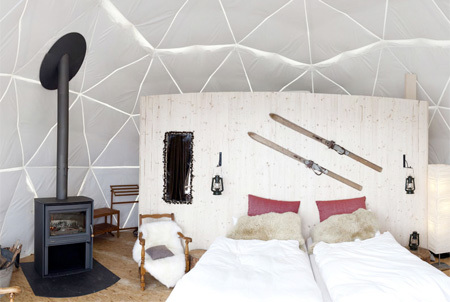 Whitepod ski resort consists of 15 dome shaped tents that blend in with the surrounding environment and provide comfortable accommodations. 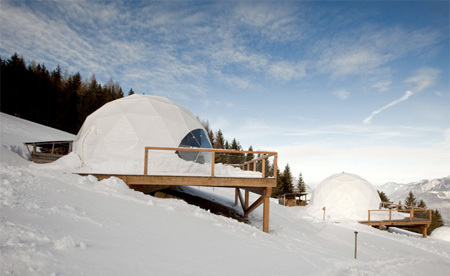 Located in the heart of the Swiss Alps, Igloo inspired pods include wood burning fireplaces, luxury beds, and full bathrooms. I WOULD LOVE TO BE THERE FOR VALENTINES DAY WITH MY GIRL!!!!!!!!!!! i want to go there it looks like paradise! 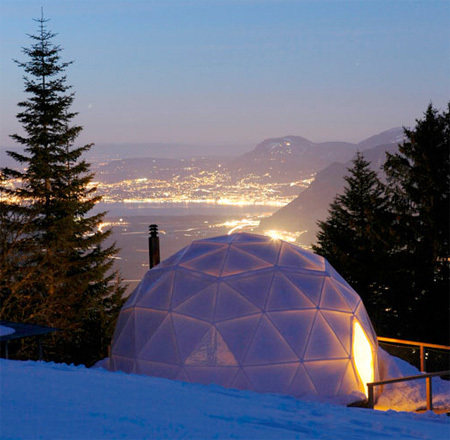 Wow, I would love to go and stay there – for a night at least :) This is an ingenious idea to blend into the picture, but still have all the conditions you need. Wow, this is quite amazing. i wish i could have one! Ohhh myyyy, it has great view.. Like this!!!! I would really like to try it out. 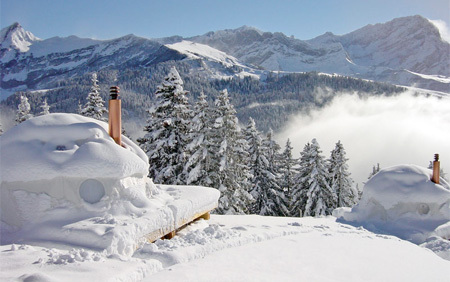 I love snowboarding, and this looks like the perfect night’s stay. Doesn’t look very stable for a snowstorm or if it got to much snow on top, but other then that it looks amazing. 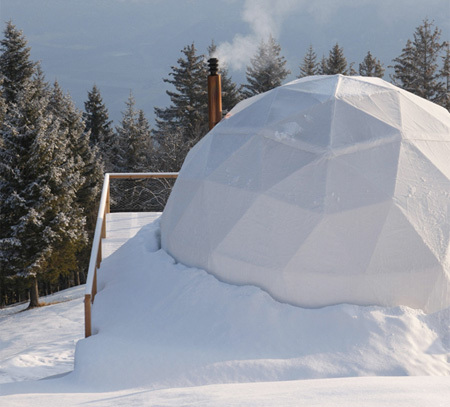 @ccc, imagine snow staying o top of a sphere, it will fall down at some angle thanks to gravity. Also, spheres / geodesic shapes are the only really good @ storm resistance (e.g. Hurricanes in US, where Dome Houses (Geodesic Homes) are really popular). They look beautiful and comfy though. 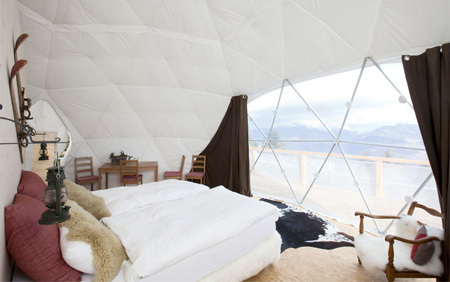 It’s really like living in a real igloo but has a luxurious interior. I hated tents. 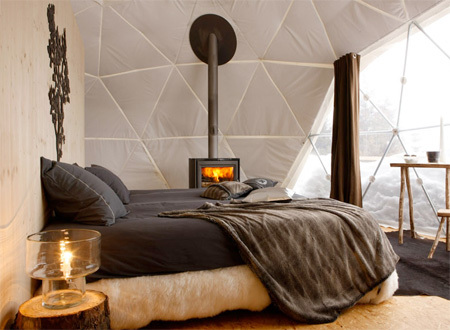 Now I love tents.